Phillip Mills is a father, grandfather, environmental champion, fitness innovator and CEO of a global fitness brand, Les Mills. In April, Mills shared a few ways we can change up our day-to-day habits and our homes to help save the planet, and last month, he spoke about the power of community in fitness. 24Life asked Mills to share how he keeps fitness interesting after 50 years in the industry, his inspirational message to the world and more. 24Life: What is the secret sauce that helped you create an epic global brand? Phillip Mills: It’s the combination of results and motivation. Our sports background has led us to create workouts that are results- and science-based. Our entertainment background led us to want to make a show of them (e.g., to make weight training fun). 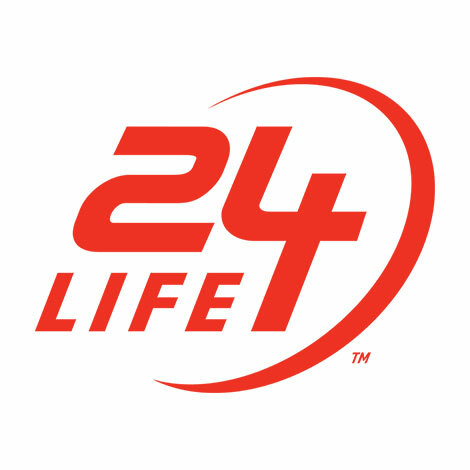 24Life: How do you keep fitness personally interesting after so many years? PM: Again, it’s all about motivation. I choose activities I enjoy and that get me the results I want, I work out with friends or personal trainers, and I focus on what’s convenient to me. For instance, I love mountain biking in the forest, but I save that for Sundays with friends and do indoor-cycle classes during the week. I also do weights twice a week with two different-styled personal trainers and do our BODYFLOW (yoga fusion) class twice a week. A lot of people think yoga is just a stretch class, but it’s actually a great functional strength workout—and I enjoy the feeling of it. PM: You have to have a mix of both but specifically interval training for your cardio component. Research has shown that the physical effects of hitting high-intensity peaks are far greater than those of steady-state training. Remarkable stuff like genetic changes! 24Life: Early bird or night owl? PM: Night owl, but my preferred workout time is late morning or lunchtime. 24Life: Sweet, savory or salty? PM: I stopped eating refined sugars 11 years ago and got over my sweet tooth in the process, so I’d have to say the latter two. Cutting out sugar was one of the best things I’ve ever done for my health. 24Life: Go-to workout in 24 minutes or less? PM: High-intensity interval workout on a bike or half a BODYPUMP workout. PM: I have a playlist of about 30 songs. The newest one and current favorite is the Sigma VIP remix of “Find Me” by Birdy. “Viva La Vida” by Coldplay is hard to beat, though. 24Life: Last book you read? I’m a fanatical reader; I never watch TV. Favorites of the past year were “A Gentleman in Moscow” by Amor Towles and “The Heart’s Invisible Furies” by John Boyne. For recent nonfiction, I recommend “Sapiens: A Brief History of Humankind” by Yuval Noah Harari and “Why Nations Fail: The Origins of Power, Prosperity, and Poverty” by Daron Acemoglu and James A. Robinson. Favorite recent business reads are “The Advantage” by Pat Lencioni and “Winning” by Jack Welch and Suzy Welch. PM: Fiji. It’s a short flight from New Zealand with beautiful beaches and some of the friendliest people in the South Pacific. PM: Surfing, skiing or scuba diving. 24Life: How do you recover from intense workouts? PM: Just rest. Tom Tellez, our old coach at UCLA, was probably the greatest track and field coach of all time. He used to say, “The most important day of your cycle is your rest day.” That only applies if you train most days, though; most of us could add a day or two of workouts. 24Life: Who inspires you and why? PM: In sport and fitness, coach Tellez was an incredible inspiration for me and a lot of other much better track and field athletes. He was a technical expert who focused on developing perfect technique, but he always made it fun. 24Life: If you had a short, inspirational message you’d send to the world, what would it be? PM: Look after your body and your planet—we only have one of each. 24Life: What’s your “favorite fail,” coaching or learning moment that helped you get where you are? PM: I’ve made too many mistakes to even count. But I’ve had great mentors, from my wife to my father and mother to my colleagues and nowadays my children. 24Life: What’s the best piece of career or leadership advice you’ve received that’s stuck with you? PM: Do what you love, love what you do.